Terrified of Falling? Discover How to Gain Stability and Stay on Your Feet! Nothing is more frightening than going about your day…. and experiencing a sudden fall. And in one instant, the quality of your life can be lowered forever. If you’re lucky, you may simply experience a few cuts and bruises. But 1 out of 5 falls cause serious injuries, including concussions, broken bones, back trauma, sprains, fractures and even death. Each year, more than 3 million older adults are treated in emergency rooms after falling. Falls cause more than 95 percent of hip fractures, and also the most traumatic brain injuries. Even one fall can lead to the end of your independence, and you may be forced to give up the work and activities you love. Think You’re Too Young to Be at Risk For Dangerous Falls? Are you buying into the myth that falls only happen to the elderly? While it’s true that you’re more vulnerable to falling as you age…. Many other factors can cause you to lose your stability and balance, including…. Since 1994, I’ve shown thousands of people throughout the world how to obtain relief from chronic pain through my groundbreaking programs. To date, I’ve given over 352 presentations to more than 8,152 health professionals in the United States and Canada. I’ve been featured in major media outlets, including Yahoo! News, Men’s Health magazine, Livestrong.com, Canada.com, Iron Man, Men’s Journal, the San Francisco Chronicle, and many other leading publications. I’ve personally witnessed the crippling physical and emotional toll that falls take on people. So, I decided to learn the underlying cause of loss of stability and balance. I put on my detective hat… and spent hours researching the latest medical and scientific studies. 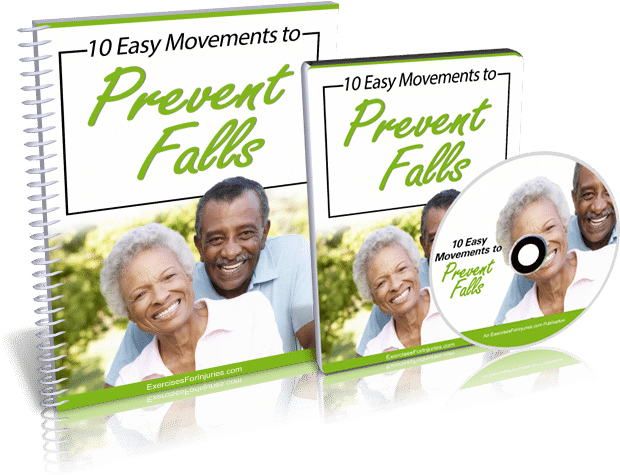 I was determined to find the most effective, safest and scientifically proven natural methods that prevent falls and tumbles. The “14-Day Fall Prevention Quick Start Program” Shows You How to Stay Steady on Your Feet! 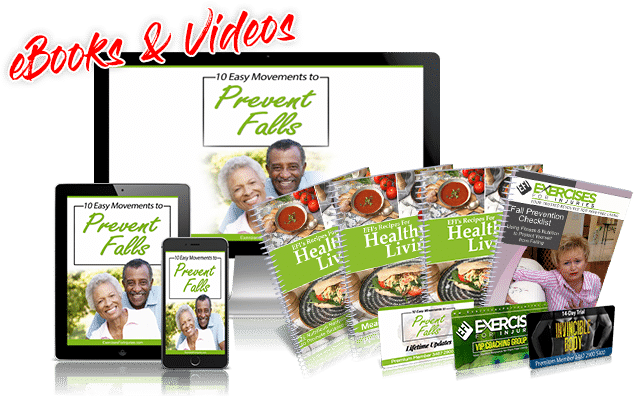 You’ll learn proven all-natural methods that lessen your risk for falls, spills and tumbles so you can enjoy your favorite activities without fear. The best part? You won’t have to wait months, or even weeks, to notice results. You can learn and implement these step-by-step strategies in just 14 days. How Much is a Fall-Free Life Worth to You? The regular price for the complete program is $57… but I’ve decided to temporarily lower the price, so nobody is shut out from learning this fall-preventing system. Take Advantage of This Limited-Time Offer and Order TODAY! 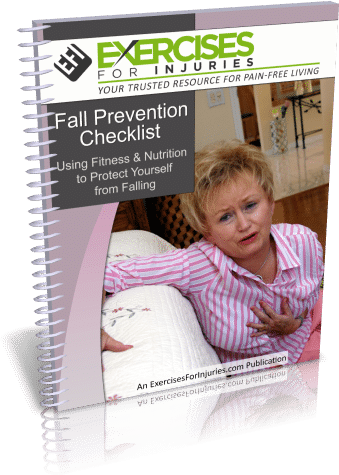 Get INSTANT ONLINE ACCESS to the Fall Prevention Checklist, 10 Easy Movements to Prevent Falls, Cooking for Stability Cookbook including the 14-Day Meal Plan and Shopping List. When you order today, you’ll receive instant access to the “14-Day Fall Prevention Quick Start Program” and special 14-day FREE access to the Invincible Body Academy. After the 14 days trial period, membership is only $47/month. You’re free to cancel at any time. No questions asked! For the rock-bottom price of only ten bucks…. You’ll also receive in the comprehensive 14-Day Fall Prevention Quick Start Program…. Our team of leading nutritionists and professional chefs selected 25 of the tastiest meals and snacks that help reduce falls and fall-related injuries. No matter how hectic your life is, you’ll be able to whip up these scrumptious dishes and snacks in mere minutes. Not a Martha Stewart in the kitchen? No problem! These step-by-step recipes will have you quickly cooking like a professional chef, even if your only past cooking experience is boiling water. You won’t need to stress over menu planning and shopping, as you’ll have our expert guidance every step of the way. You’ll also receive at no extra charge…. 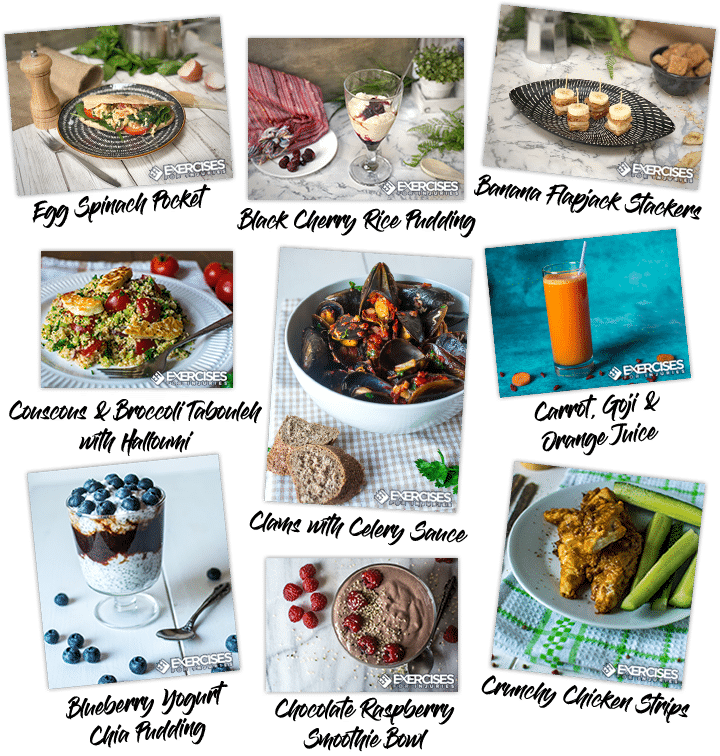 Provides you with a comprehensive day-by-day menu plan to make incorporating these healthy meals into your life an easy-breezy process. You’ll always know which dishes to prepare for every single meal. Gives you every ingredient you’ll need to create these wonderful dishes, so shopping for them at the grocery store will be a cinch. You Also Need to Get Up and Get Moving! Your sedentary lifestyle can increase your risk for dangerous falls. Your muscles continue to weaken as you age. And since muscles are responsible for keeping you upright, when they become weak it increases your risk for falls. 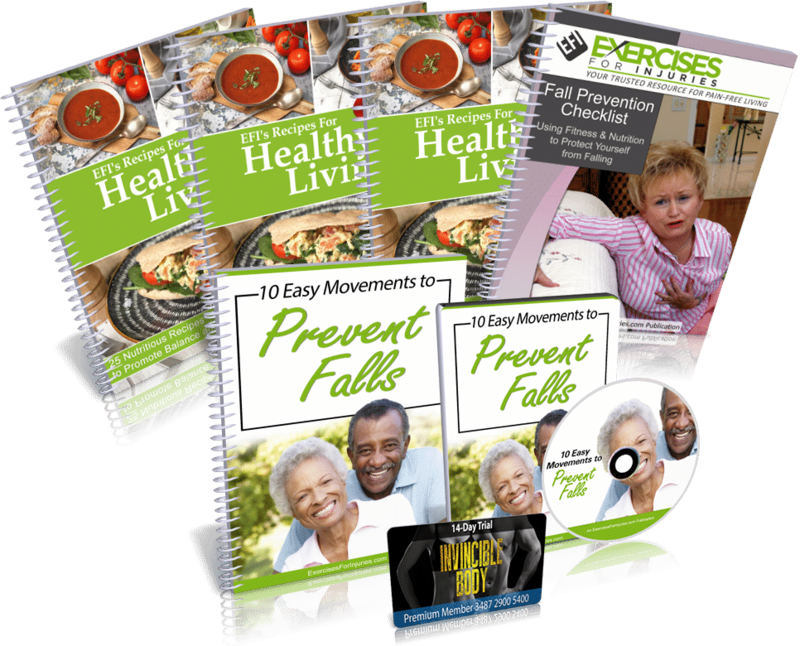 10 Easy Movements to Prevent Falls is simple to perform… no matter how young or “old” you are, the state of your health and even if you’ve never exercised before in your life. Rick will be guiding you every step of the way during these virtual training sessions, so there’s absolutely no risk of injury. He’ll show you how to properly perform each movement, including the exact number of reps and sets to do, along with proper form and intensity. Unlike the competitive nature of gym training floors, there’s no pressure to perform at a certain speed. You’re free to progress at the rate that feels most comfortable to you. You’ll never feel alone while following these amazing joint-strengthening videos. You’ll receive all the info you need to succeed, including how many reps and sets to do, along with proper form and intensity. Rest assured, you’ll always feel completely confident that you’re performing the exercises correctly, while remaining highly motivated. Exercising can be intimidating, even for pros. In this wonderful follow along video, you’ll perform each of the exercises right along with Rick’s exercise assistant. Rick will be there to personally count out the reps and time, and provide motivation to keep you on track. 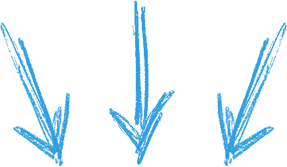 Refer to this convenient manual to learn the exact start and end position photos for each exercise, how to avoid the most common mistakes, and much more. A Special Gift If You Order TODAY! For a limited-time only, you’ll receive FREE access to Rick Kaselj’s exclusive membership group, the prestigious Invincible Body Academy. You’ll also obtain additional cutting-edge tools that improve balance, keep you stable and lower your risk for falls. The Invincible Body Academy will provide you with complete peace of mind that you’re receiving the most expert support and motivation every step of the way. After the 14-day FREE trial period, your membership will be only $47 each month. You’ll be able to cancel at any time, no questions asked! As an exclusive member of the Invincible Body Academy, you’ll receive…. 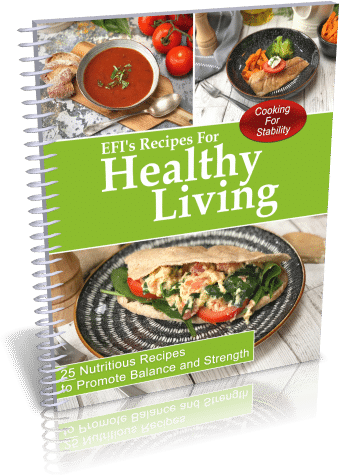 Complete access to EFI’s extensive exercise library, health and fitness specific handouts in .pdf form and much more. 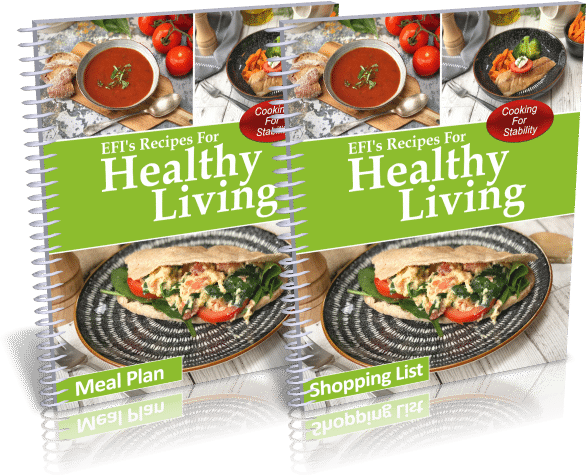 You’ll discover how to naturally improve your physical and emotional health on multiple levels, so you can live the active, joyful and healthy life you deserve. Instant membership in EFI’s VIP Coaching Group, so you’ll never feel alone while getting into the best shape and health of your life. You’ll receive ongoing support, motivation, encouragement and inspiration. You’ll also meet other like-minded individuals who will ensure you stay focused and on track until you accomplish your health and fitness goals. Exercises For Injuries’ founder and injury recover expert, Rick Kaselj will personally be available to answer any specific questions you may have. Remember… it doesn’t cost you one penny for this exclusive 14-Day trial. And you’re free to cancel at any time. You’ll finally be able to enjoy every minute of your life without fear of falling. You’ll no longer be at risk for life-threatening injuries. You’ll feel more stable with improved balance. You’ll be fully independent and mobile. You’ll be able to return to your work and favorite activities anxiety-free. You’ll enjoy the healthy, active and joyful life you deserve. This exclusive member’s-only program is led by world renowned fitness trainer, pain specialist and healer, Rick Kaselj. It’s jam-packed with additional strategies, tips and techniques that promote balance and strength, and overall great health. After the initial trial period, you’ll be charged the small fee of $47 per month, that’s it. You’re free to cancel at any time. No questions asked!